great gallery. Nice compositions. Thanks for sharing. V! I have never seen a PAD with so many great portrait shots, I really should do more myself. well done. What a happy greeting from Greece! I see that you do not joke with the B and W! Congratulations on your beautiful photos. 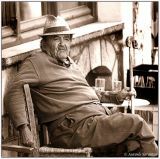 What a fantastic gallery Antonis, you catches life so good in this beautiful people, One big vote. Wonderful gallery. I love your photos! Very interesting and charming work. Bravo! Une gallerie avec de trés grandes photos. A voir et à revoir. Bravo !! A gallery with very big photographs. To see and re-examine. excellent work !! This is an outstanding gallery.........you especially excel at capturing peoples expressions.....very well done. Your work is excellent, my compliments. Vote. This is a gordious gallery. I like your work (a lot)!!! noble et claire gallery,beautiful work here ! All the galleries are so awe inspiring. Antonis, Beautiful, inspiring work! Thanks for sharing! Thank you very much for visiting my surreal photos and your nice comment. I have had a look into your galleries. Wow. perfect. Your work is great! 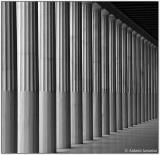 Wonderful gallery, Antonis ! Big vote. 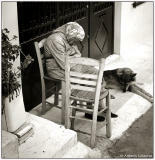 beautiful gallery Antonis, really love the B&W images,as you have probably seen i am posting only mono images this week. Great gallery. You have some outstanding portraits here. Love your street shots. That is something I want to try but just not sure how to approach it. 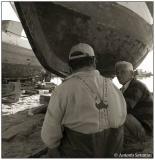 superb gallery Antonis... has a story to tell! 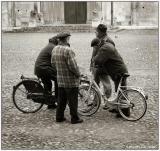 The "Street Shots" in this gallery are great, thanks for sharing. I particularly like the "Old Church Simplicity" series and your portraits are really well done. 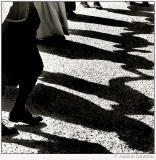 Awesome collection of B&W images. Beautiful gallery! You have some amazing shots in this gallery! Outstanding gallery. Excellent work. voted. I am impressed by the excellent monochrome treatment. I like especially candids. Voted. Wow. Great use of light. You have an eye for world and the people in it. Thanks for your comments on my shots as well! It makes me feel good that a photographer of your caliber took the time to look at my shots. 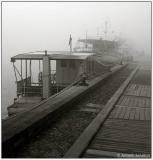 Exceptionally beautiful and evocative gallery, Antonis! Great tenderness, warmth, emotion, humanity and sensitivity. Nice gallery! Thanks for sharing. Wonderful and Thoughful comments with your pictures. They tell a story. 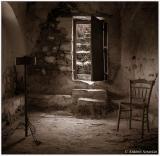 A fantastic gallery, Antonis - so atmospheric. 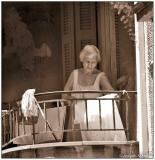 Wonderful gallery, your people photos are excellent, love the black and whites. Your B&W images are fantastic....quite superb! Already have! :) Shows how good it is. 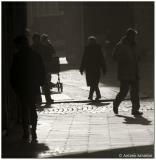 Some great street shots in this gallery Antonis. Big vote. 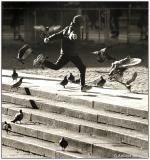 Beautiful street photography, excellent work. Lovely gallery. Amazing capture of their souls. Very strong and powerful. A wonderful gallery. And my vote. amazing gallery! you have some stunning images here V! hi, tank's for vote my fhoto, but just now i see your gallery and is fantastic!!!!!! good job!!!!! all the best!!!! Your bw work is simply great! 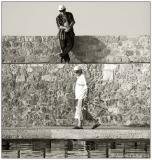 excellent selection of beautifull photos.mood ,compositions and tones are all superb. great work V.
As usual. An excellent work. I could comment each one of them. Instead, I should vote for all.